Education is a fundamental human right, essential for the empowerment and development of an individual and the society as a whole. 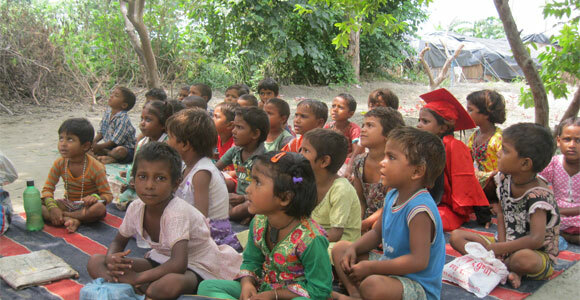 Education is a fundamental right of every child. But due to the prevalence of poverty and child labor, the literacy rate in India is not so good and many of the children are denied of their valuable right. The right to education is reflected in international law in Article 26 of the Universal Declaration of Human Rights and Articles 13 and 14 of the International Covenant on Economic, Social and Cultural Rights that includes the right to free, compulsory primary education for all, an obligation to develop secondary education accessible to all, in particular by the progressive introduction of free secondary education. The Right of Children to Free and Compulsory Education (RTE) Act, 2009, which represents the consequential legislation envisaged under Article 21-A, means that every child has a right to full time elementary education of satisfactory and equitable quality in a formal school which satisfies certain essential norms and standards. The RTE Act came into force from April 1, 2010. The Constitutional Bench of the SupremeCourt in the case of Pramati Educational& Cultural Trust & Ors. v. Union of India & Ors., upheld the constitutional validity of Article 21-A of the Constitution of India and also of RTE Act, 2009. It also held that the RTE Act is not applicable to aided or unaided minority schools. The Act makes education a fundamental right of every child between the ages of 6 and 14 and specifies minimum norms in elementary schools. So it casts an obligation on the Government to provide free and compulsory elementary education, up to Class 8th to every child. The Act casts an obligation on the appropriate government to provide free elementary education and ensure compulsory admission, attendance and completion of elementary education to every child in the six to fourteen age group. ‘Free’ means that no child shall be liable to pay any kind of fee or charges or expenses which may prevent him or her from pursuing and completing elementary education. The Act mandates that an out of school child is admitted to an age appropriate class and provided with special training to enable the child to come up to age appropriate learning level. The Act lays down norms and standards relating to Pupil-Teacher-Ratios (number of children per teacher), classrooms, separate toilets for girls and boys, drinking water facility, number of school-working days, working hours of teachers, etc. Each and every elementary school (Primary school + Middle School) in India has to comply with these minimum standards set by the RTE Act. The Act mandates that no child can be held back or expelled from school until Class 8th. The Act has mandated the Continuous Comprehensive Evaluation (CCE) method to ensure grade appropriate learning outcomes. The Act provides that no school or person shall, while admitting a child, subject the child or his or her parents or guardian to any screening procedure. The contravention of this provision shall be punishable with fine which may extend to twenty-five thousand rupees for the first contravention and fifty thousand rupees for each subsequent contravention. The Act provides that no school or person shall, while admitting a child, collect any capitation fee. The contravention of this provision shall be punishable with fine which may extend to ten times the capitation fee charged. The Act provides that no teacher shall engage himself or herself in private tuition or private teaching activity. The Act provides for rational deployment of teachers by ensuring that the specified pupil teacher ratio is maintained for each school, rather than just as an average for the State or District or Block, thus ensuring that there is no urban-rural imbalance in teacher postings. It also provides for prohibition of deployment of teachers for non-educational work, other than decennial census, elections to local authority, state legislatures and parliament, and disaster relief. 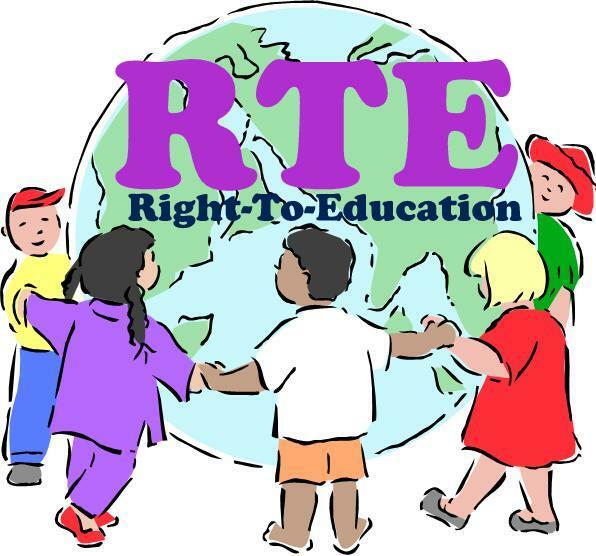 RTE Act mandates all the private schools to reserve 25 per cent of the seats for children belonging to socially disadvantaged and economically weaker sections. This provision of the Act is aimed at furthering social inclusion for a better India. So, the Right to Education Act is an essential step towards improving each child's accessibility to secondary and higher education. The Act also contains specific provisions for disadvantaged groups, such as child laborers, migrant children, children with special needs, or those who have a disadvantage owing to social, cultural, economical, geographical, linguistic, gender or any such factor. With the implementation of this Act, it is also expected that issues of school dropout, out-of-school children, and quality of education and availability of trained teachers would be addressed in the short to medium term plans. The enforcement of the Right to Education Act brings the country closer to achieving the objectives and mission of the Millennium Development Goals and Education for All and hence is a historic step taken by the Government of India.